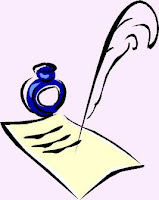 Anthology: Received 4 stories 3 have been final drafts, not due till 10/01/12 so still plenty of time. Bluffside for C&C: Going a little slower than expected due to a lot more tweaks that we had to do to make it C&C compatible but it is moving forward. Undisclosed project is getting some tweaks before we can move forward a bit and talk art. Cons: this year it looks like just Necronomicon for me but next year GenCon for sure and possibly DragonCon as well. Still not sleeping well, maybe 2-3 hours a night so I am still wallowing through the day. I do have a few days off next week and a better mask coming in today to sleep with so maybe, just maybe next week will be very productive. I hope everyone at GenCon is having a blast and save me a spot for next year.